ROME - The first leg of Inter's Coppa Italia 2010/11 semi-final against Roma, played at the Stadio Olimpico this evening, ended 0-1 to the Nerazzurri. Dejan Stankovic was the man who won the game with an absolute peach of a goal on the stroke of half-time, after he had seen a previous effort ruled out in the opening minutes by a highly debatable refereeing decision. There were chances for both sides in the second half but the scoreline remained unchanged. Inter can now look forward to the second leg at the Meazza on 11 May with optimism. 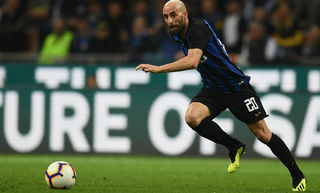 FIRST HALF - Leonardo went with Lucio and Ranocchia at the heart of the Nerazzurri defence, flanked by Maicon and Nagatomo; there was experience aplenty in midfield with Zanetti, Cambiasso and Stankovic, while Sneijder began in the hole behind strike pairing Milito and Pandev. 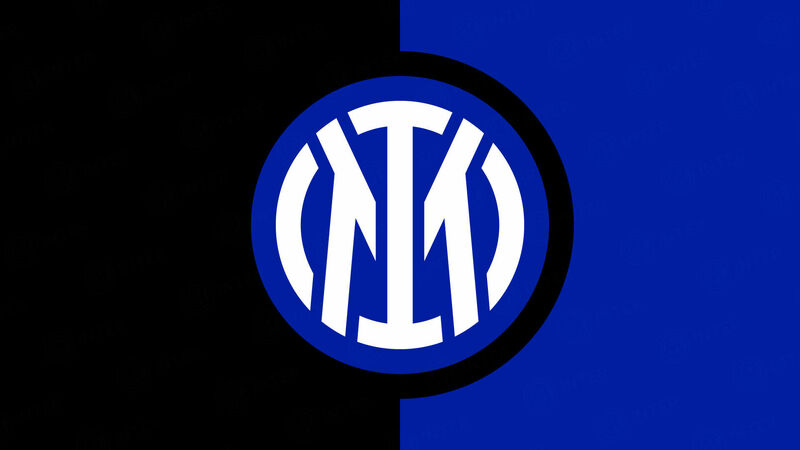 Inter immediately asserted themselves on the game and had most of the possession in the opening stages. Two minutes in, Sneijder tried his luck from range and got his effort on target but failed to really test Doni with it. Just a few moments later Inter should have been a goal up: Cambiasso's long ball forward induced Doni and Juan to make a mess of things allowing Stankovic to fire home unmarked, but the Serbian was harshly adjudged to have fouled Juan. 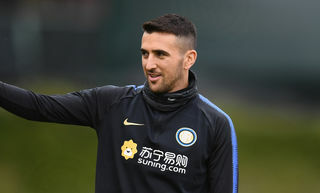 However, it was Inter's turn to get lucky in the 9th minute when Vucinic managed to stab wide with the goal at his mercy, after Borriello's cross had gone beyond Julio Cesar at the near post. The Montenegro striker had another chance after a quarter of an hour but was again imprecise. The Nerazzurri felt they had been hard done by once more in the 17th minute, when De Rossi's handball in the box went unseen by the referee. Lucio then had a header saved by Doni after 21 minutes before the Brazilian centre-back returned to doing his day job down the other end five minutes later, denying Perrotta with a fantastic acrobatic interception following Cassetti's cross. And he showed his worth again around the half hour mark with another timely tackle at full stretch to take the ball away from Borriello, a minute after De Rossi had fired an effort over. Sneijder had another sight on goal in the 43rd minute but was unable to hit the target. Stankovic, however, definitely had his shooting boots on this evening and gave Inter the lead with an absoluter stonker of a goal: as the game ran into first-half stoppage time, the Serbian picked up Cambiasso's pass 25 yards out and struck a thunderous right-footed effort with the outside of his boot that curled into the top corner leaving Doni with no chance. After a minute's added time, the sides headed into the dressing rooms with the Nerazzurri a goal to the good. SECOND HALF – The second half began with the same twenty-two and tensions soon began to rise, Vucinic lashing out at Lucio with an elbow that was missed by the referee. With 53 minutes on the clock, Roma almost found themselves two goals down: Pandev met Stankovic's cross from the right and nodded goalwards, the ball came off Cassetti's back and Doni went walkabout; Sneijder played the ball back towards the empty goal only to see Cassetti hack clear with Pandev ready to pounce. The home side went close themselves in the 64th minute, when Perrotta was inches away from connecting with Taddei's cross. Stankovic called another handball by De Rossi in the box after 71 minutes, but the claims again fell on deaf ears. Sneijder went for goal once more with 10 minutes remaining and this time his cross hairs were centred but Doni was alert to it. 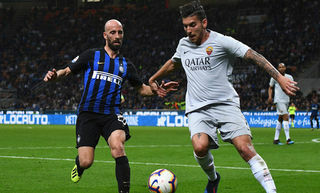 Roma upped the pressure as the game entered the final stages: Vucinic kept trying to find a way through and kept being shut out by the Nerazzurri rearguard. Then, in the 89th minute, Pazzini had a glorious chance to possibly put the tie beyond Roma's reach when Sneijder picked out his run behind the defence, but Doni did well to close down the angle. In injury time Vucinic again went looking for an equaliser, with Maicon on hand to snuff out the danger this time. After 4 minutes of added time, Inter were able to celebrate an impressive victory that stands them in good stead for the second leg. Roma: 32 Doni; 77 Cassetti (Rosi 78), 29 N. Burdisso, 4 Juan, 17 Riise; 7 Pizarro, 16 De Rossi; 11 Taddei, 20 Perrotta (Simplicio 73), 9 Vucinic; 22 Borriello (Menez 63). Unused subs: 1 Lobont, 3 Castellini, 15 Loria, 33 Brighi. 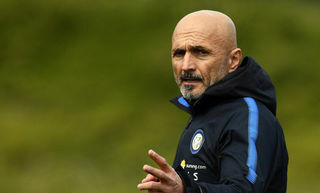 Inter: 1 Julio Cesar; 13 Maicon, 6 Lucio, 15 Ranocchia, 55 Nagatomo; 4 Zanetti, 19 Cambiasso, 5 Stankovic (Mariga 90+4); 10 Sneijder; 27 Pandev (Obi 82), 22 Milito (Pazzini 75). Unused subs: 12 Castellazzi, 14 Kharja, 23 Materazzi, 26 Chivu. Booked: Taddei 5, Maicon 14, Burdisso 51, Ranocchia 57, Sneijder 59. Zanetti: "This is our response"